HULK-UPDATE + FILM CRIT HULK ART! – FILM CRIT HULK! 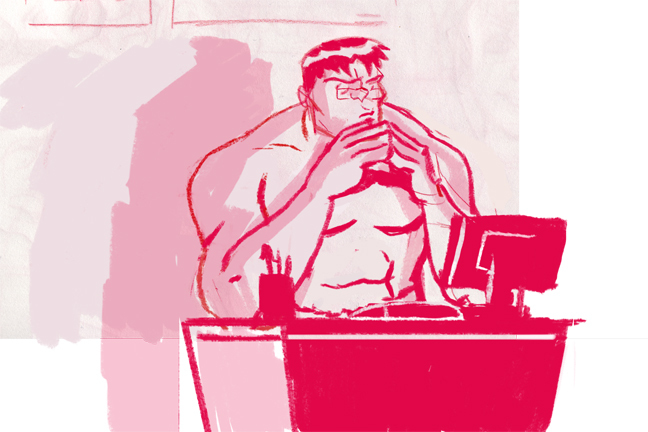 HULK BLOG! HULK-UPDATE + FILM CRIT HULK ART! HULK JUST WANTED TO TAKE A SECOND TO SAY THANKS FOR ALL THE NICE RESPONSES AND BEING PATIENT, BECAUSE HULK BEEN BUSILY WORKING ON THE NEXT HUGE COLUMN FOR YOU! SERIOUSLY IT BIGGEST UNDERTAKING HULK HAS EVER EMBARKED ON, BUT AS SUCH HULK HAS HAD SO MUCH LESS TIME FOR HULK-MAILS AND COMMENT RESPONSES. SOON THINGS WILL BE BACK TO NORMAL ONCE IT’S UP. BUT IN THE MEANTIME, HULK WANTED TO SAY THAT SOME FOLKS HAVE SENT IN SOME REALLY COOL FILM CRIT HULK ART, THAT HULK JUST HAD TO SHARE. THE FIRST (SHOWN ABOVE!) IS BY YANNICK BELZIL, WHO’S STUFF YOU CAN SEE AT www.yannickbelzil.com COMMISSION AT http://yannickbelzil.com/commandes/ AND FOLLOW ON TWITTER. IT SO COOL AND FLATTERING THAT READERS WOULD DO THIS FOR HULK, AND HULK JUST HAVE TO THANK THEM KINDLY FOR THE GREAT WORK. CHEERS AND YOU’LL HEAR FROM HULK SOON! Previous Post HULK PLAYS WITH THE INDOOR KIDS! This is going to be a novella of a post! Hi Hulk. I’m not typically in the habit of posting comments on blogs, so my apologies if this comes off a bit stilted. As this isn’t really about any individual article that you’ve posted, I felt that this was the best place to leave this in order to avoid derailing discussions either here or on BAD. All I really want to do is let you know that I greatly enjoy reading your articles. I recently discovered your blog through your musings on Arkham City (I know, I know, sorry), but from that beginning I’ve gone through portions of your archive and frequently check back to see if new articles have been uploaded. Even though I don’t have any particular background in film, or really the arts in general, I still find your articles to be interesting and informative, providing some insight into a field that I normally don’t give a lot of thought to. I also find it extremely admirable that you engage with your commenters, responding to both positive and negative posts. I think this greatly helps with creating a positive atmosphere for discussion by showing that you are interested in, well, actually having a discussion. As a final note, I really do appreciate the articles that you’ve written regarding various video games. While it’s clear that films and film culture are your first love, and the gaming community can be somewhat abrasive, I really do hope that you continue to write on the subject matter occasionally. It’s fantastic to get an opinion from someone who’s obviously spent some time thinking about the medium and derives some enjoyment from it, but has a bit of a different perspective from what I typically read on the subject. I may not always agree with everything you write on the issue, but really, the enjoyable part is getting that different perspective. As an aside, have you played Dark Souls? I really feel that Dark Souls really was one of, if not the, best games released in the past year and helped reaffirm many of the things I enjoy about the hobby. The following article gives what I felt to be a fairly good discussion regarding the game, although it works best I think if you have some prior experience with the game. There are some spoilers regarding a specific section of the game, but nothing too drastic. So, in closing, sorry if this is a little awkward or rambling as I don’t typically comment on blogs. I greatly enjoy your articles and just wanted to take a minute to let you know that and thanks for taking the time to read this comment if it catches your eye. Best of luck. HEY THERE, SO SORRY HULK NOT HAVE TIME TO ANSWER THIS IN FULL CAUSE HULK DESPERATELY TRYING FINISH ARTICLE. HULK THANK YOU SO MUCH FOR YOUR KIND WORDS AND HULK WILL BE IN TOUCH SOON! If Hulk gets a chance and has the inclination can we get a short take on James Franco’s recent editorial on the state of motion capture and Andy Sekris? Interested in what you have to say. Thanks.